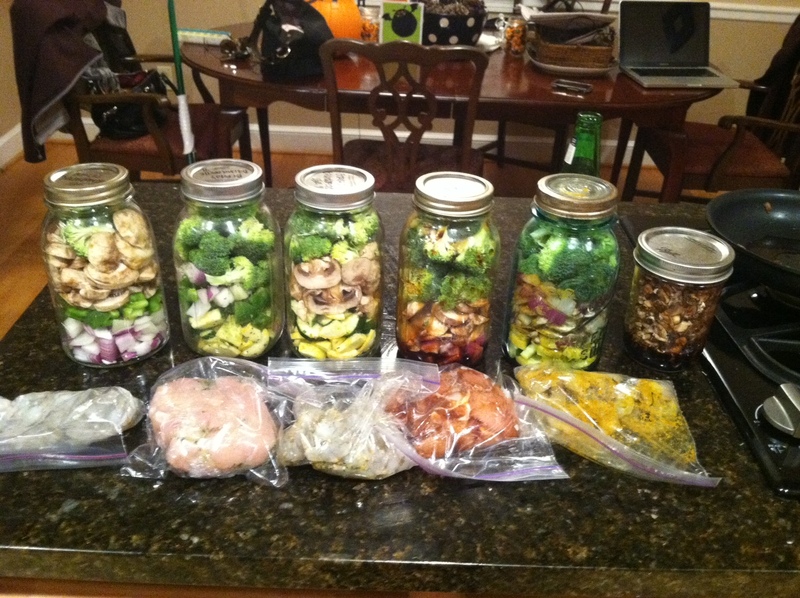 Mason Jar Meals: Part 1 — Twila & Co. If you're like me, you don't always have the time to prepare/cook healthy and delicious meals, particularly during the weeknights. When I saw this blog on Pinterest, I thought it was the greatest idea and decided to try it out. With a little pre-planning and about 2 hours of time on Sunday, I had created 6 dinners (and 6 lunches) for the upcoming week. The best part is when I leave work in the evenings, I don't have to think about it. I can just go home and grab a jar! I found the idea at this blog and tailored it to my diet (gluten-free,'cave-man' diet or just meats and veggies). 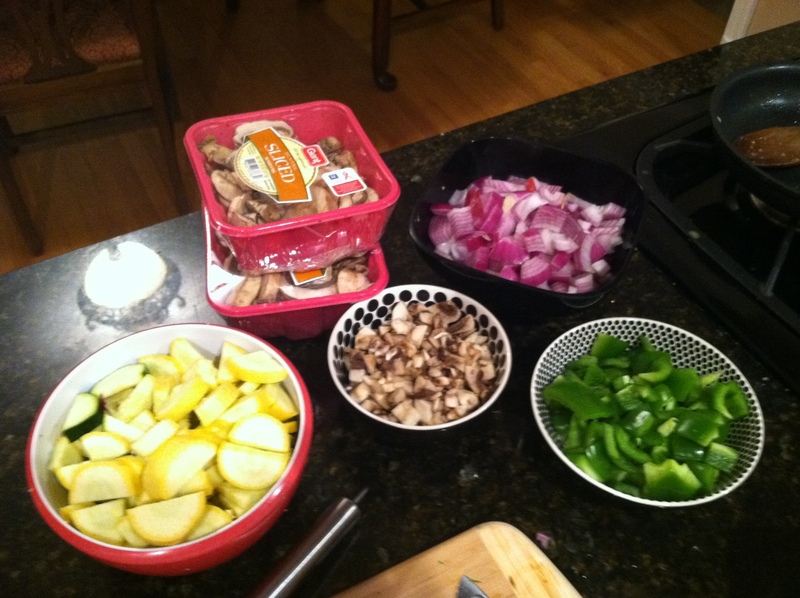 I bought all of my favorite fresh veggies, cut them up appropriately, and placed them in separate bowls. I picked out 6 different marinades/spices including: Wildtree's Curried Garlic, Garlic Galore, Basil Pesto, and Lemon Rosemary, and then a gluten-free Asian stir-fry with Tamari and Oyster Sauce. You could also do things like Barbecue, Jamaican, Hawaiian, Cilantro Lime, etc. I have endless spices to use. I bought 2 packages of chicken and a bag of shrimp to mix it up and put those in the accompanying sauce. I wrapped my meats in plastic wrap separately so as to not contaminate the veggies. I picked the veggies according to what I liked with each dressing (and I tried to make each one colorful!) and placed them in different Mason Jars. And Voila! Now when I get home in the evenings, all I have to do it throw these in a skillet and I'm good to go. Don't worry: I'll let you know how each one turned out and how it worked!